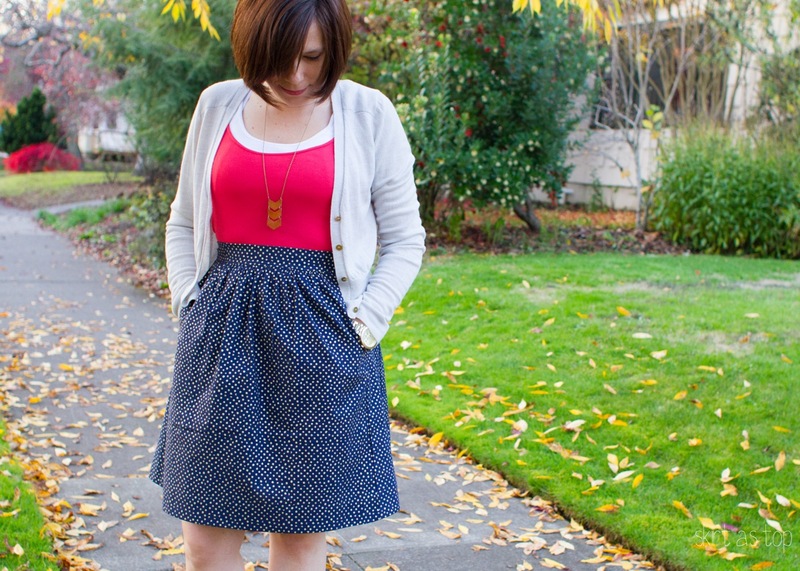 Hi it’s Kristin, and today I’m over at the Dear Stella Fabrics Blog talking about the Liesl + Co. 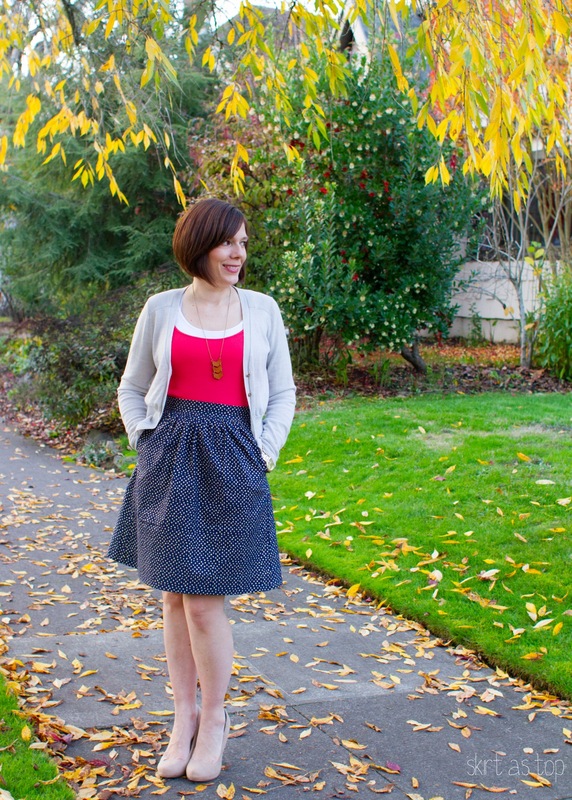 Everyday Skirt that I sewed using Dear Stella’s fantastic Confetti Sparkle line. Well…my sister-in-law is over there in photos. I’m apparently too pregnant to model this skirt style right now, so I just do the talking (and the sewing). I think the Everyday Skirt looks fantastic all dressed up – don’t you agree that those metallic gold polka dots are perfect for holiday apparel? This skirt is classic comfortable-yet-flattering party wear (with the pockets, you could even skip carrying a purse!). I really enjoyed bringing this skirt to life – come read more about it over at the Dear Stella blog! I really like this pic with the skirt worn high instead of low. I’ll make a smaller size for myself to wear this way. Thanks for the inspiration! Thanks, Janimal! My sister-in-law (the model) is petite with a small waist and I thought it would be the most flattering for her body type to wear it high. A smaller size is a good idea – it’s easy to adjust the elastic to get this look before you snip it and sew it down.